* Tests: Salt, chlorine, pH, ORP, TDS, and water temp. limited to the terms they provide. See manufacture's website for full terms and conditions. This was less than the chemical test kit the pool store was trying to cell me. The pool store is 40miles away and this helps so much. this thing does more than I needed it to. Makes checking out the pool super easy. No more trips to thye pool store! Q: What are the specific tests performed by this tester. Or, what are the specifications for the tester? 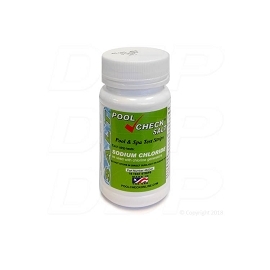 Are any chemicals needed for the testing other than the pool water being tested? A: This tester is electronic, so no other chemicals or reagents are required. 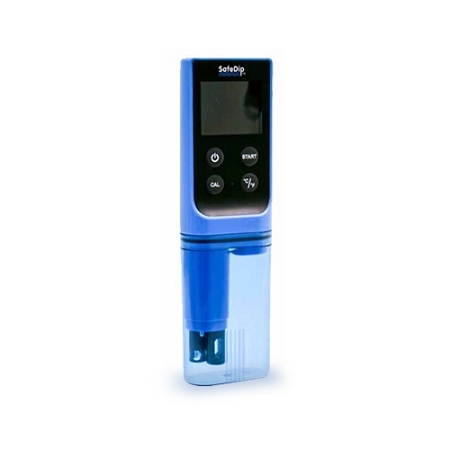 It measures and displays the salt, chlorine, pH, ORP, and TDS levels, was well as the water temperature. I have found the readings to be pretty accurate when I compare it to my other test strips or pool store readings. Q: What are the ranges for each testable quantity? Are buffers or other solutions necessary to maintain the probe? I would like to see technical specs and use instructions. Q: Does it give the actual Reading of PH? and what is the min PH and max it will show? Q: How long does it take to test the water? A: The tester will test all six readings one at a time and give you the results as it goes. How long it takes can vary a little bit depending on conditions, but usually it's about a minute or so. Pretty fast. Q: do you need any thing besides the apparatus? Like drops or test strips? can you just buy this and not need supplies? Q: I need a hand held tester for PH,CHLORINE FREE AND COMBINED,CYA,CALCIUM,TOTAL ALK, IF THERE IS SUCH AN ITEM PLEASE LET ME KNOW ? A: I don't know of a hand held tester that measures CYA, calcium, and TA. 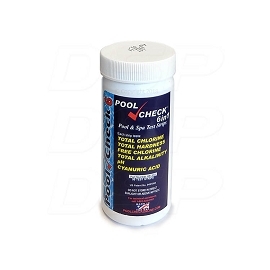 This is an excellent digital tester that is perfect for typical pool maintenance. It tests: salt, chlorine, pH, ORP, TDS, and water temperature.